Our plan, which is customised to fit your needs, includes a proactive approach to pest control, careful consideration of regulations and also optimal convenience and responsiveness. Pests are kept out. 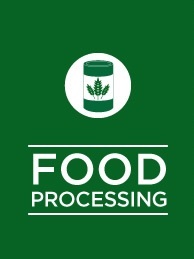 Rocket Pest and Termite have worked closely with food processing businesses to develop practices uniquely suited to their needs. We start with these practices and experience, then customise a program that precisely fits your business. Our key technicians receive training and experience in food processing practices and HACCP requirements. Your facility will be a more sanitary workplace for your employees and your products. We’ll work with you to maintain HACCP accreditation and Government and Health Department compliance.